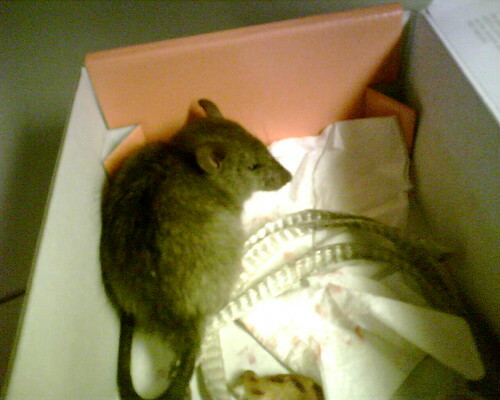 While walking to lunch, we found this little pet rat on the street, complete with a leash (you can see him sitting on it). Somebody said they thought it belonged to this homeless guy that just went by, but we couldn't find the guy. I brought him with and put him in a box with some wet snacks. I put an ad on Craigslist and a call into rat rescue.